Saffron adds a warm, savory quality to the other spices in these brownies — cardamom, ginger, cinnamon, and nutmeg — while the brown butter offers nuttiness. 1. Set the oven at 350 degrees. Butter a 9-inch square baking pan. Dust it with flour, tapping out the excess. 2. In a bowl, whisk the flour, baking powder, salt, cocoa powder, cardamom, cinnamon, ginger, and nutmeg to blend them. 3. In another bowl, whisk the eggs and sugar; set aside. 4. In a small saucepan over medium heat, heat the butter. When it melts, add the saffron. Continue to heat until the butter turns a light brown color. Whisk the hot brown butter into the egg mixture. Stir in the flour mixture just until combined. Fold in the grated chocolate. 5. Spread the mixture evenly in the baking pan. 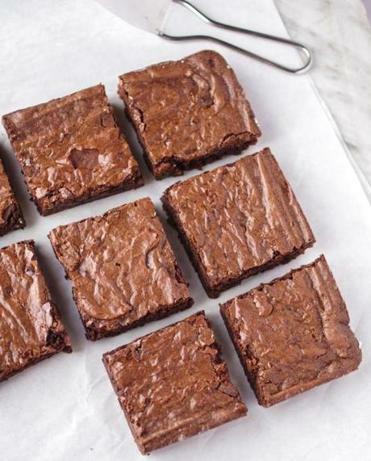 Bake for 20 to 30 minutes or until a skewer inserted into the middle of the brownie comes out clean.